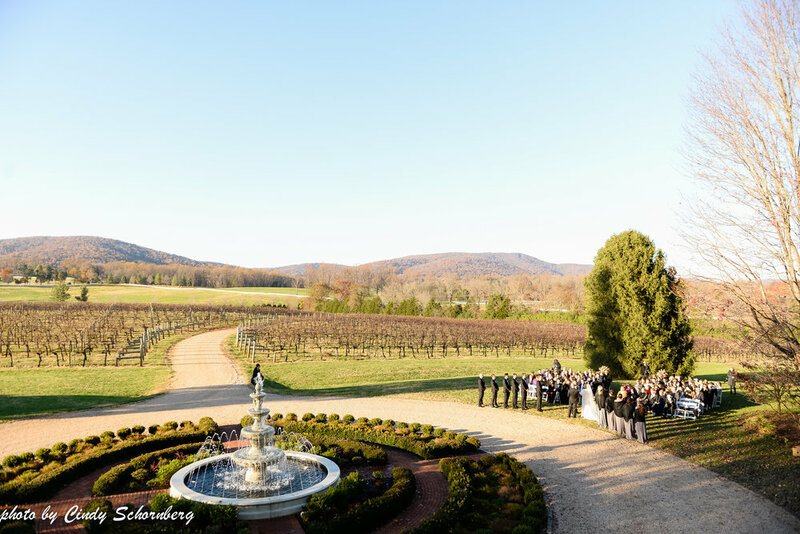 On Saturday, November 10th, Jess and DJ were married at Keswick Vineyards on a brisk, fall day. 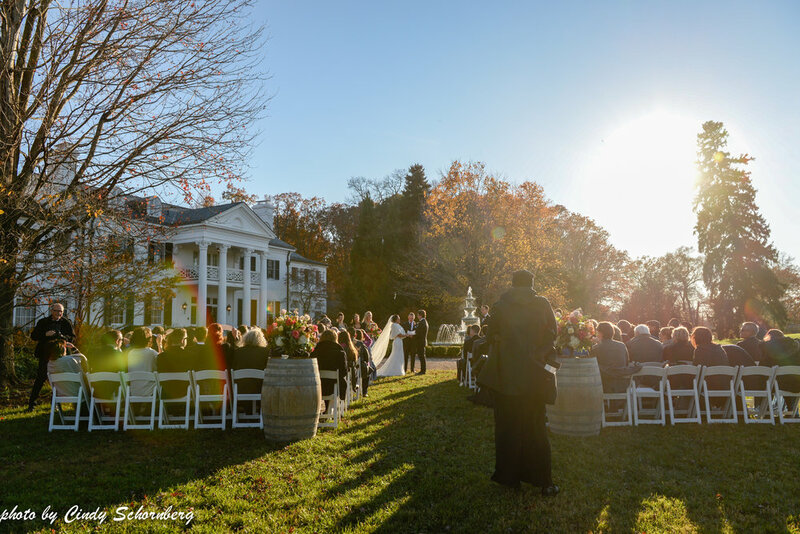 With the foliage colors still beaming on the mountain side, it was a must to hold their ceremony in our “fall” location which gives guests the optimal view of the Estate, fountain, vineyard and mountains. 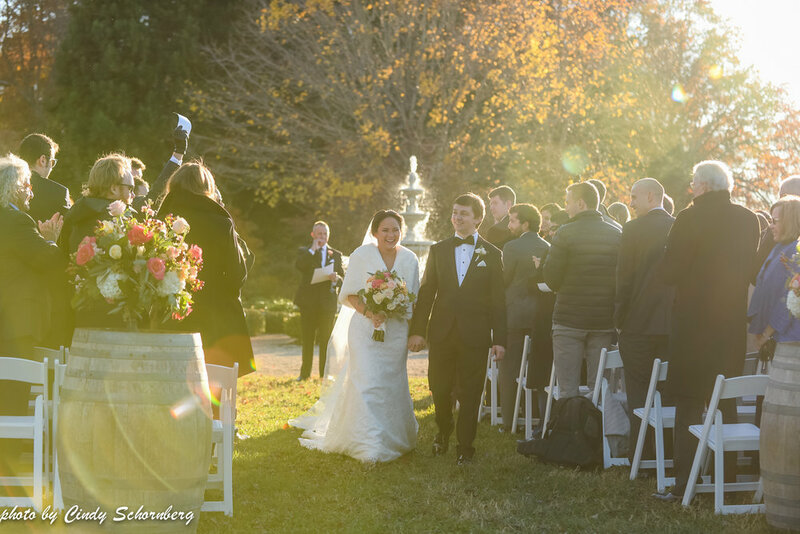 Even though the day was a little chillier then it should have been for this time of year, the sun beaming through the trees provided just enough warmth to make their ceremony picture perfect. 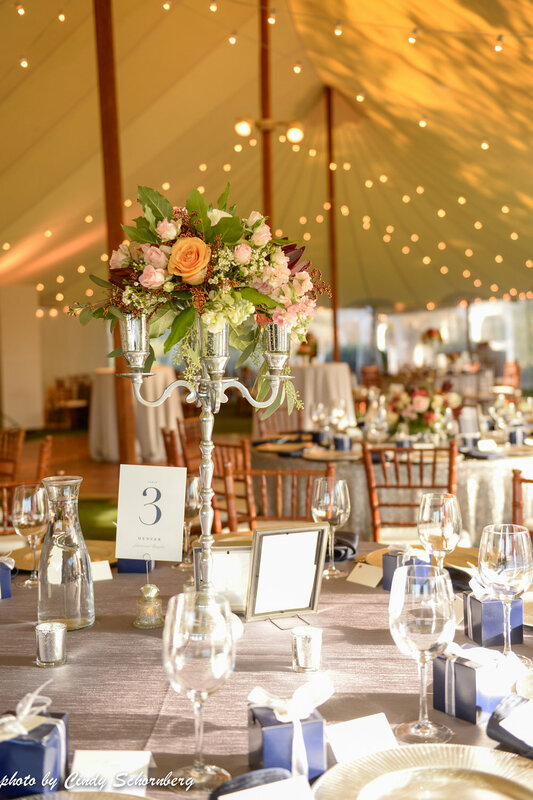 Since this is Keswick Vineyards 8th year doing weddings and have done over 350 weddings, it is hard for us to see something new. So, when we saw what Jess & DJ were doing for their guest book, we definitely had to share. 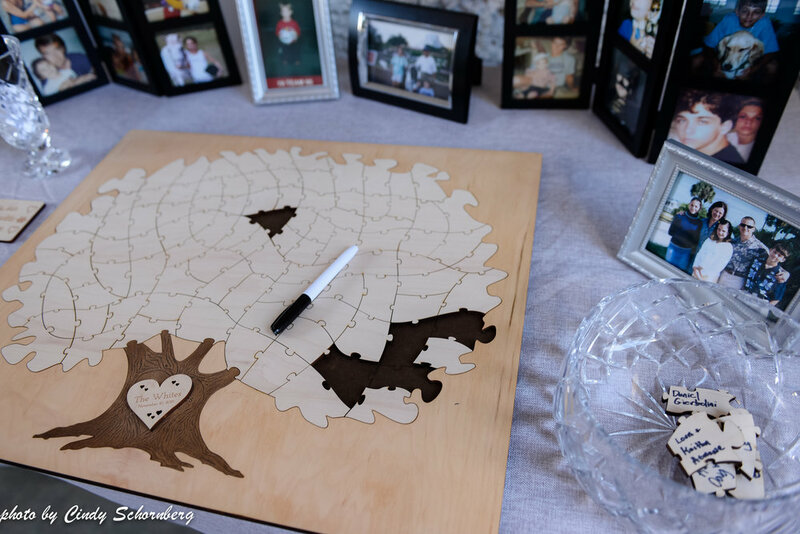 Versus the traditional guest book, Jess & DJ had a wood blank puzzle made. Each guest would sign a puzzle piece eventually signing each piece to create a forever heirloom of their special day. Congratulations, Jess and DJ! 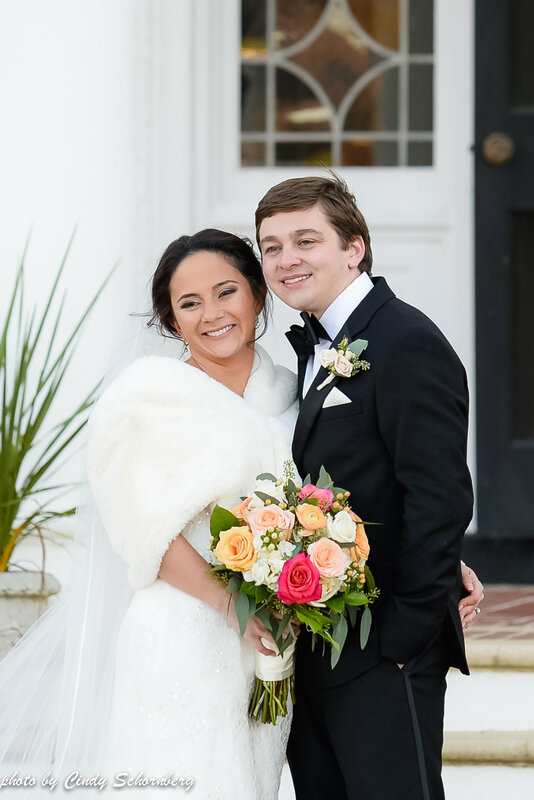 We hope that you enjoyed your “mini-moon” and we hope that your lives are as perfect as your wedding was! 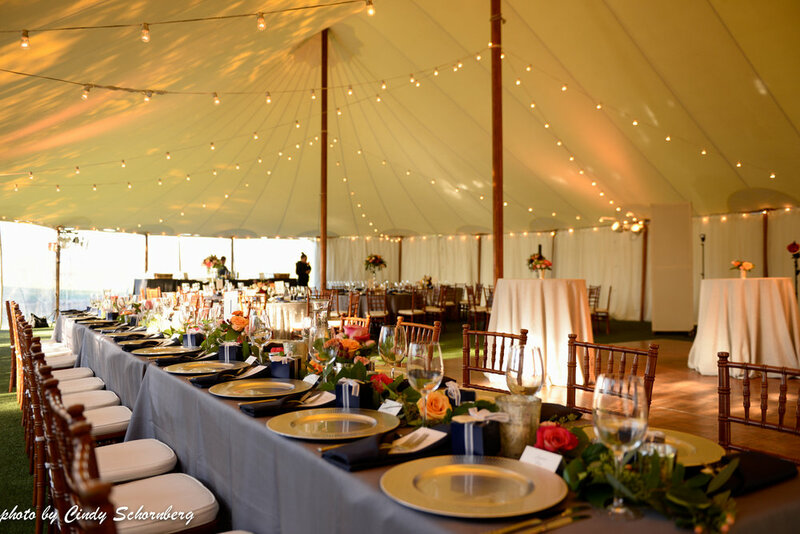 Event Planner: Karissa Coffey, Caterer: Harvest Moon, Officiants: Doug White Sr. and Dave Norris, Desserts: Passionflower Cakes, DJ: Dennis Payne, Photographer: Mike Topham, Hair and Makeup Artist: Lou Stevens, Florist: Willow Branch Flowers, Transportation: James River and A & A Limo, Rentals: Harvest Moon, Lighting: Skyline Tent Company.